The type of fence you select for your home can play a vital role in the exterior design, and provide security. Homeowners have numerous options to choose from. First and foremost, you’ll want to pair the fence with the needs of your home. For example, if you have pets or children that must be contained, a higher, more secure fence may be required. 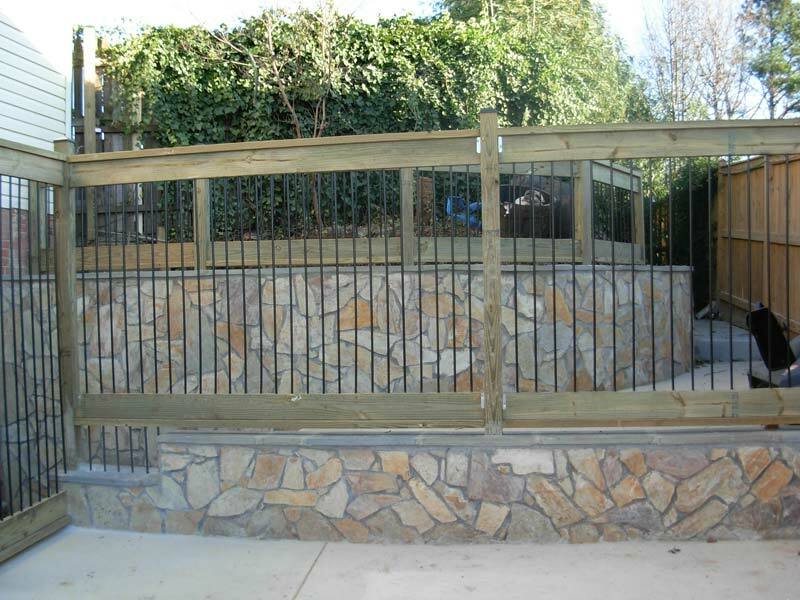 If you have no kids or animals to worry about, however, a more aesthetically-focus fence could be a viable option. We’ll start by examining decorative options. You may need a fence to divide your yard from the street or sidewalk, but not any fence will do. If you’d like to avoid a low chain-link fence or the traditional post fence, you certainly have options to choose from. For example, a stone fence can truly bring together a well-landscaped lawn. Furthermore, you may use decorative options to hide an ugly building or to separate the garden from street view. Fencing can often be used to bring focus to the garden area of the yard. You may choose to hide portions of the garden – garbage cans or a compost heap, for example. For this type of fencing, many homeowners choose woven panel or close-board, both of which will suffice admirably. Alternatively, an open fencing design with an evergreen climber is a unique, worthwhile option. If your garden is more for relaxing than planting, a higher, close-together fence can offer the right amount of privacy and shelter. Screens can be paired with a trellis or other fencing to provide some security with appearance. For different fencing options that accentuate your home and yard, contact Blooms Landcare by calling (817) 688-5352. We’re happy to help bring your garden and lawn to life using the right fencing!